We’re delighted you've found us! your life forever. He is able to bring you new hope even in the frustrations and the failures of life. life. It is also a place of peace, quiet, rest and refreshment where no demands are made. You will find in US,a group of people who are on a journey, people who long to have the company of others on that journey, people who know and experience the transforming company of Jesus, God’s Son on that journey. We are all different ages, with different abilities, different questions, doubts, worries, cares and concerns. 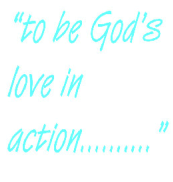 Our motto is TO BE GOD’S LOVE IN ACTION wherever we are, what ever we are doing, whoever we are with so that others will come to know God’s transforming love for themselves. We look forward to meeting you. I was ordained in 1977. In 1979 Ellen and I went overseas as missionaries with the Church of Scotland to a rural school at Sefula in Western Zambia. On our return in 1982, I became Associate Minister at St. Ninian’s in Paisley, and spent 8 very busy and fruitful years there. In 1990 I took up a post at Carberry Tower, the Church of Scotland conference centre as it then was. I also continued to lead worship and preach in various congregations in East Lothian and Berwickshire. 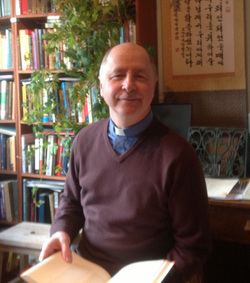 In 1996 I was called by the congregation of Kirk o’ Field Parish Church (Edinburgh) to be their minister. I enjoyed ministry in that part of the city - preaching, offering pastoral care and becoming involved in the day to day life of the parish. In 2013 I was called here to Uphall South Parish Church. I am delighted to be here, to share the years ahead with the congregation in deepening faith, seeking God’s blessing together in the gospel. 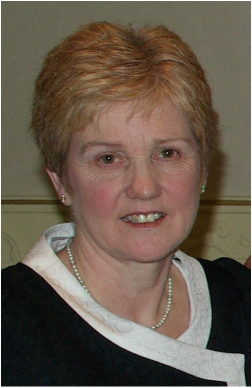 Morag is our new session Clerk, check back soon for some information about Morag.